Kind of dropped off the face of the Earth but life has kind of gotten in the way LOL. Between work, rearranging the house for our little man's arrival and prepping his nursery I just haven't had time to really sit down and blog. Nski Beauty has taken a serious hit I haven't recorded or blogged in two months! WHOOPS! 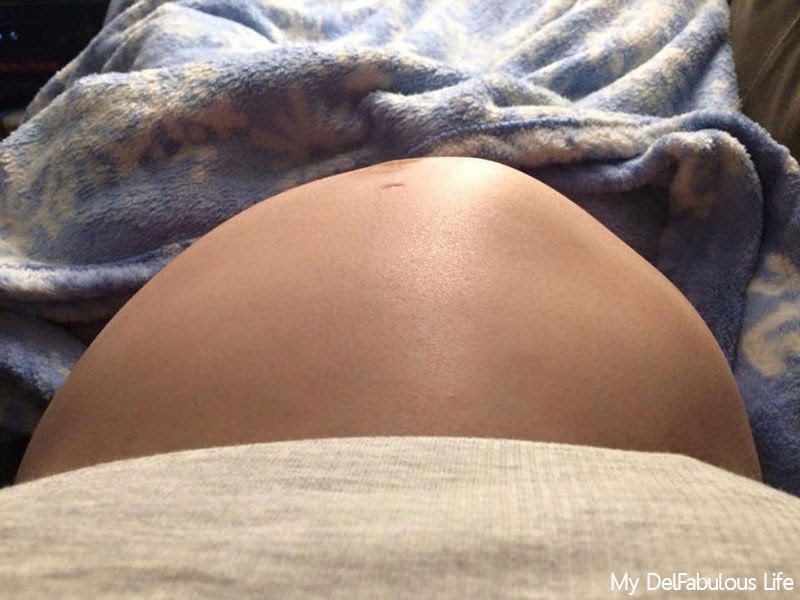 This week I've reached 28 weeks in my pregnancy and can definitely vouch for the third trimester tiredness and don't even get me started on the heartburn! I swear if we have a bald baby I'll be pissed! HAHA! 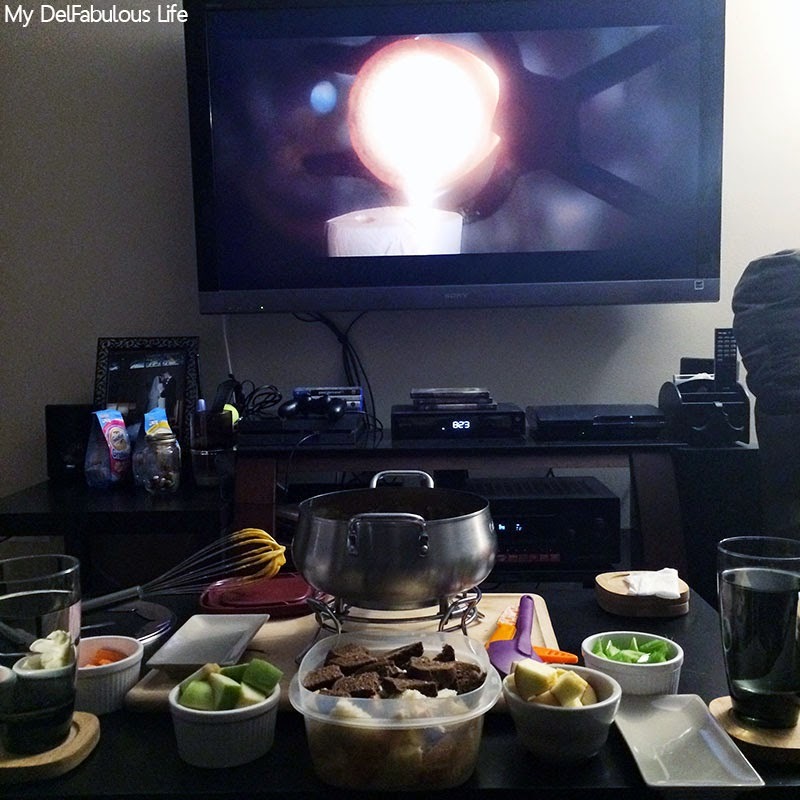 Yesterday was Valentine's Day and this year we decided to relax and stay in and do cheese & chocolate fondue. I just don't understand going on on Valentine's Day to a restaurant to spend hours waiting to be seated to spend extra on a meal because it's a special "v-day menu" when it's more than likely something that is already on the menu... I mean don't get me wrong we've done it many years but at 28 weeks I don't have patience to wait to eat or for large crowds. For this year's Valentine's Day I asked Gregory for some cloth diapers for our little man (Yes, I will be cloth diapering our son. I'll have to put a post together with all that awesomeness at some point.) which he bought for me but because he's the man he is he still felt it was necessary to get me something special so I suggested a pair of heels I'd been eyeballing on Lola Shoetique's website (Eva in black) that I could totally rock with multiple outfits that are work & casual friendly so it was a win-win. So he ordered those for me and they're due to arrive Thursday (super excited!) However, that wasn't the best part of my Valentine's Day, I woke up Saturday morning to a spotless kitchen, my husband cleaning the house and to add the icing on the cake he tackled a HUGE portion of getting Baby Blob's room prepped. To say I was a happy woman doesn't even cover it. Gosh, I love that man! Dippables such as strawberries, banana pieces cut into 1-inch chunks, pound cake, marshmallows, brownies, etc. Arrange the dippables on a platter or plates around the chocolate pot. Use a fondue fork, bamboo skewer, seafood fork, or salad fork to dip the fruit pieces and other dippables into the hot melted cream chocolate mixture. Eat immediately. 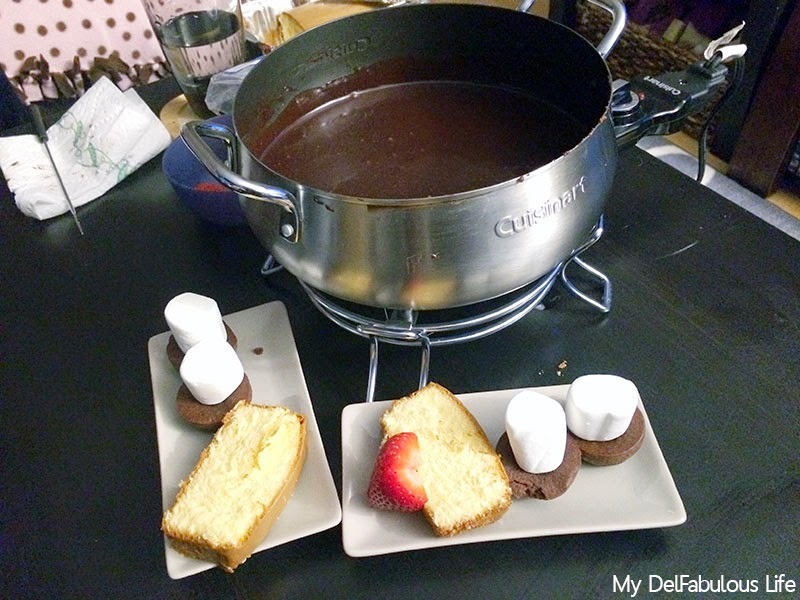 If you are using an electric fondue pot, turn it on to medium; otherwise use a double boiler to heat up this mixture. Place beer, garlic, dry mustard, and Worcestershire in the pot and combine well. Shred or cube the cheeses and toss with flour, coating the cheese well. (The flour will help thicken the sauce.) When the beer mixture is warm, add one-third of the cheese and whisk very well. Once the cheese has been incorporated well, add half of the remaining cheese and whisk in very well. Add the remaining cheese and whisk until nice and smooth. 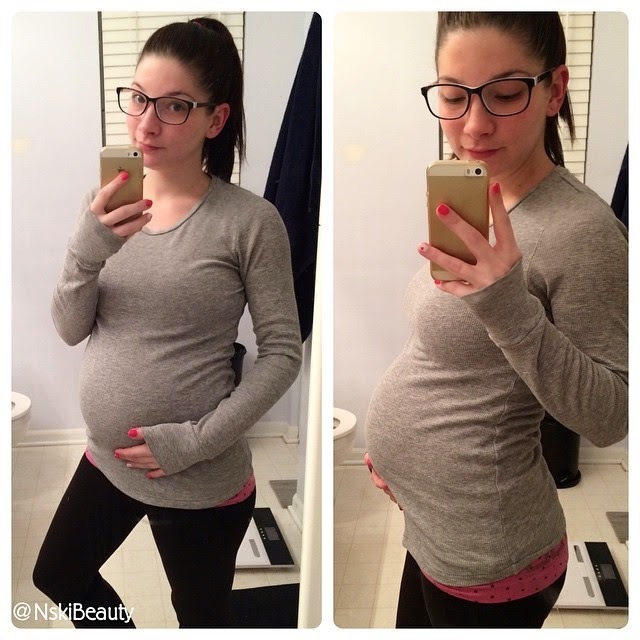 And for good measure my 28 week baby bump! This little man has been SUPER active and got his first case of hiccups. Which was super amusing to me cause I finally understood what my girlfriends were saying when they asked if he's had hiccups yet. Blob has also started pushing on my stomach making my stomach contort in all types of strange angles. It kind of freaks Gregory out and just amuses me now, however the first time he did it it really freaked me out HAHA! Well that's it for now! Hope you had a fantastic Valentine's Day whether it was with your significant other, best friend or you rocked the single life!